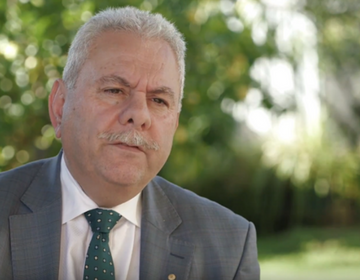 Diana recently authored Inclusionary Leadership, profiling A Taste of Harmony Hero Ambassador Huss Mustafa OAM among a diverse group of inclusive leaders in Australian business. An extension of her consulting work, Diana sought to share what qualities made a leader inclusionary – both inclusive and visionary. 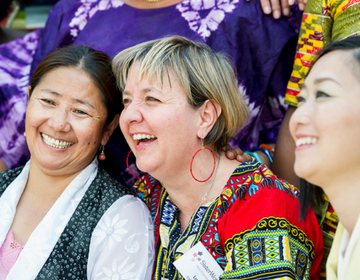 We spoke with Diana to understand the value of diversity in Australia’s boardrooms. Under Diana’s leadership as Managing Director of Apple Australia, the organisation was awarded Employer of the Year by Hewitt Associates. She later founded Xplore for Success, a gender equality consultancy offering career development programs, keynote speakers and executive coaching. “This book is a collection of stories. People connect with stories quickly.” Diana said. Traditionally an advocate of diversity, Diana said her perspective has evolved to make inclusion a priority. In her experience, building an inclusive workplace is the key to driving greater diversity. The impact an inclusive workplace can have on how team members feel and conduct themselves at work can be immense. Honoured with an Order of Australia in recognition of her advocacy on gender equality and education, Diana has since consulted and advocated on a broader range of diversities including culture, sexuality and ability. 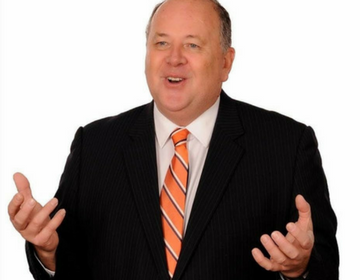 So who are some of Australia’s notable leaders in cultural diversity? Diana pointed to former Australia Post CEO Ahmed Fahour, General Manager of Multicultural Banking at CBA Huss Mustafa OAM, lawyer Mariam Veiszadeh and NAB’s Executive General Manager, People, Culture and Capability Stephen Barrow. Interestingly, these people have all experienced adversity. “People who have felt exclusion or difference find it easier to accept difference” Diana said. Ahmed told her he once felt difference as the only non-Anglo in a board meeting about cultural diversity, and Huss shared that he was bullied by his peers as the only non-Anglo in school. Is food a tool to provide permission to approach some difficult topics? Can cultural identity sometimes be a taboo in the workplace? “People can be a little bit scared, but you need to have an openness to ask these questions. That’s what I love about Mariam Veiszadeh – I asked her questions about her experience as an Islamic woman working as a lawyer and she was very open.” Diana said. 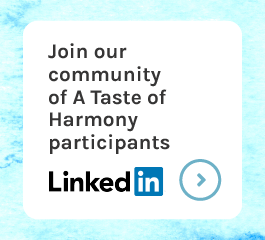 A Taste of Harmony provides opportunity to celebrate and discuss diversity over a meal. It’s an inclusive opportunity for everyone, regardless of background, to share stories and get to know your co-workers and their culture. 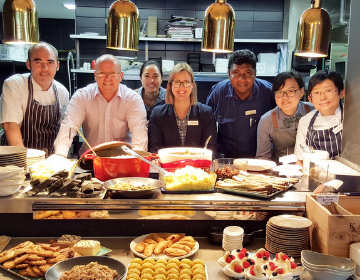 Hold A Taste of Harmony in your workplace to start a conversation about cultural identity, inclusion and diversity – with food! Learn how to register here. 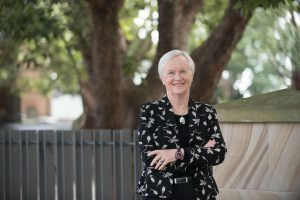 Diana was awarded Member of the Order of Australia, AM, in recognition of her advocacy for gender equality and support of women through Xplore for Success, her work with Apple in the Education community, and her charity work with the National Breast Cancer Foundation and Dress for Success.